Summary: All her life, Sara Gallagher has wondered about her birth parents. As an adopted child with two sisters who were born naturally to her parents, Sara’s home life was not ideal. The question of why she was given up for adoption has always haunted her. Finally, she is ready to take steps and find closure. But some questions are better left unanswered. Review: I've always been a fan of psychological thrillers, I'm not sure whether it is because I have a degree in psychology or the fact that I love getting an adrenaline rush ;-) So when I won an advanced copy of Never Knowing through a Goodreads drawing I was very excited to read it and I will say that I was not at all disappointed!! Author Chevy Stevens knows how to write gripping novels that will have you literally on the edge of your seat. I read this book in one setting, just could not put it down. I would tell myself "okay after this chapter I'll go do something else" then another intriguing event happened and I had to find out the results. The intensity and suspense factor in this book were high at times and low at others, but never went away. The author was full of surprises in the plot, which I loved!! The topic of adoption is the overall theme of this book and having a family member who has been adopted this made the book even more interesting. I think this is something not everyone can relate to on a direct level, but it definitely will pull at the heartstrings. 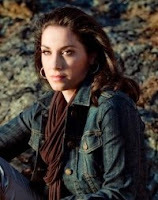 Sara, the main character is someone who an reader should and could look up to. She is a woman who seems brave, but only because of the circumstances that are thrown her way she has to be for her family. Sometimes a person has to chose the right thing to do, even if that may mean going against what others are saying, in order to keep family safe. And Sara does exactly that. I truely enjoyed the characters in Never Knowing. Each person had a distinct personality that allows a reader to understand a little more about what they could be thinking about the actions that Sara takes. 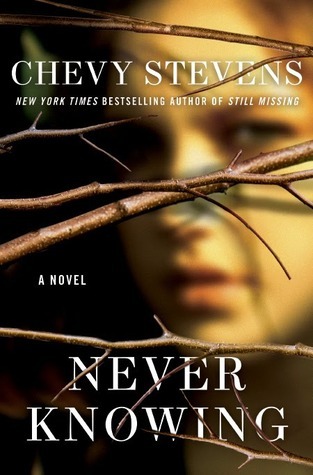 Overall, Never Knowing was an intense, enjoyable read! I look forward to picking up Chevy Steven's other book Still Missing.